New species of the genus Neolucanus Thomson, 1862 is described, pictured and compared with the related species. 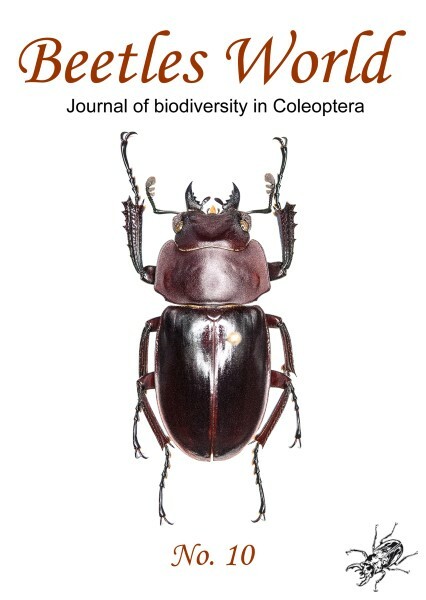 Neolucanus kachinensis spec. nov. is related to N. marginatus dohertyi and is distributed in northern Myanmar (Kachin State) and in China (Yunnan). The catalogue of Lucanidae is an updated listing of the species, subspecies and synonyms of the family Lucanidae. In this issue of Beetles World a synopsis of the genus Neolucanus Thomson, 1862 is given. Distribution, type locality, type depository and size of the taxa are indicated. Some type specimen and several rare or recently described species are pictured. For several taxa taxonomical comments are given and some new synonyms have been proposed. This catalogue will be continued in further issues of this journal.